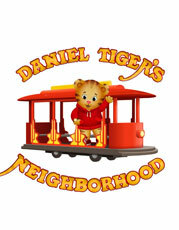 The first series inspired by "Mister Rogers Neighborhood," "Daniel Tiger's Neighborhood" features 4-year-old Daniel Tiger, son of the original program's Daniel Striped Tiger. Every day Daniel puts on his red sweater, ties his shoes, and invites a new generation of preschoolers into the Neighborhood of Make-Believe. Daniel shares his daily adventures with pals O the Owl, Katerina Kittycat, Prince Wednesday and Miss Elaina. With the help of Daniel and his friends, preschoolers have fun and learn practical skills necessary for growing and developing.